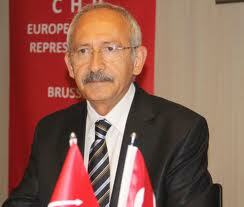 Reference to CHP European Union Representative and PES Presidency Member Kader Sevinç’s comments in L’Echo newpaper. Both the EU and the Turkey are responsible for the stalemate in the accession process. "Results of this failed policy extend from the refugees crisis to the activation of the undemocratic instincts of the current political power in Ankara."